With exactly two weeks to go, the Obama campaign is feeling good: the president's advisers insist they are winning nationally and in battleground states. And they say this is the race they have always prepared for. "This is a race we believe we're leading," said senior strategist David Axelrod on a conference call with reporters, "We believe we're leading nationally and we're leading in these battleground states." He added that the Obama team "has the ball" and insinuated that the Romney camp may be lying to themselves about who holds the upper hand. "We know what we know and they know what they know and I'm confident that we're going to win this race and we'll know who is bluffing and who isn't in two weeks," said Axelrod. 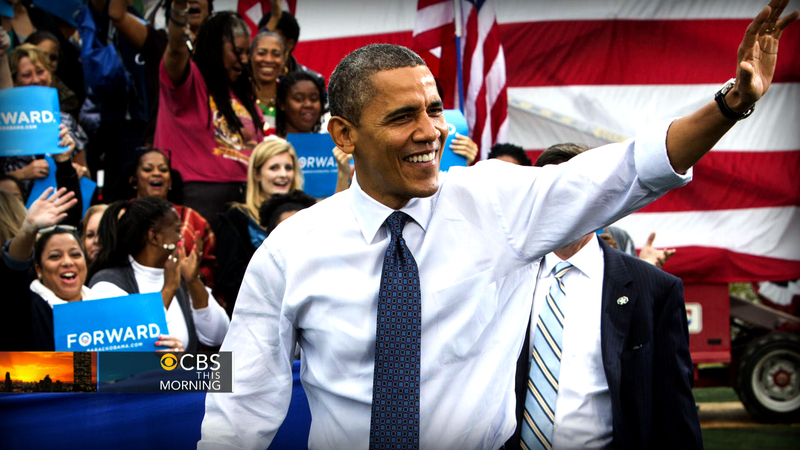 The latest CBS News national poll does show Mr. Obama in the lead (48 to 46 percent), but it's within the poll's margin of error. Today's ABC/Washington Post poll has the race within the margin of error as well. But others, like Gallup's daily tracking poll, put Romney ahead. Axelrod maintains that the "90 public polls coming out every day" create volatility that just isn't there. He says the current state of the race is stable and exactly what the Obama team expected. "This race has settled into exactly where we thought it would be and it's the race that we've prepared for," he said. Campaign manager Jim Messina echoed the same sentiment, saying the pathways to 270 electoral votes that the Obama team laid out at the beginning of the race are all still intact and still reflect the Obama campaign's overall swing-state strategy. The campaign has no plans to pull staff from those states any time soon either. "We are tied or ahead in every battleground state and we're not leaving anywhere where we're tied or ahead," Messina said, "Romney hasn't been able to knock us out of a single battleground." According to Messina, that includes North Carolina, despite claims from campaign allies like pro-Obama SuperPAC advisor Paul Begala that North Carolina is now off the Obama campaign's radar. "We continue to feel like North Carolina is a neck-and-neck race," he said, adding, "the math continues to look better and better for us." Axelrod warned that no analyst should be counting any swing state - including North Carolina - in the Romney column just yet. "Anybody who thinks any of North Carolina, Florida, Virginia, anybody who thinks those states are in the bag is half in the bag themselves."